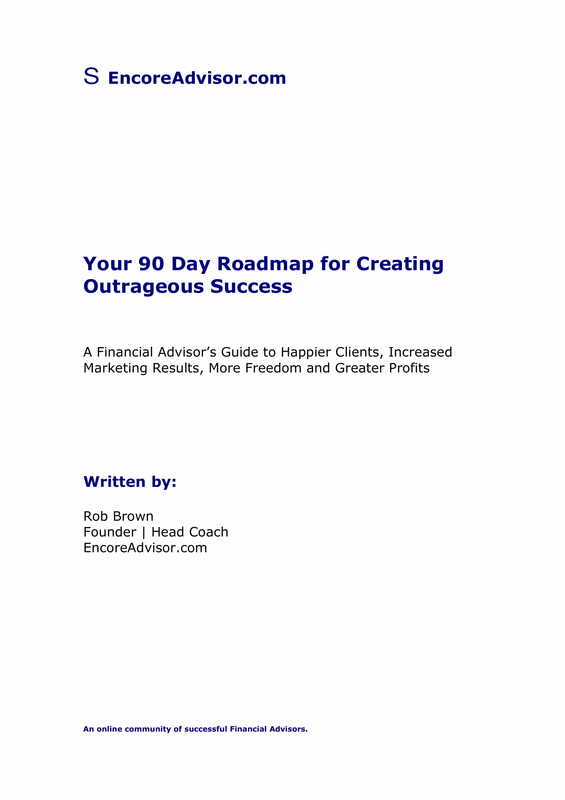 You might think that it is easy to create a 90-day plan, but creating one that is effective seems to be not difficult but rather challenging. Start-up companies would usually use a 90-day plan to have a kick-start in their operations. It does not only let them achieve their goal efficiently but also help them assess the areas in their business that still need to be improved. However, some companies would want to achieve the goals quickly and never wanted to work for many months. This might be good, but it may not always be the best for a 90-day plan. For action plans that took longer days to achieve, it is expected that the steps as well as the result would be done smoothly and effectively. 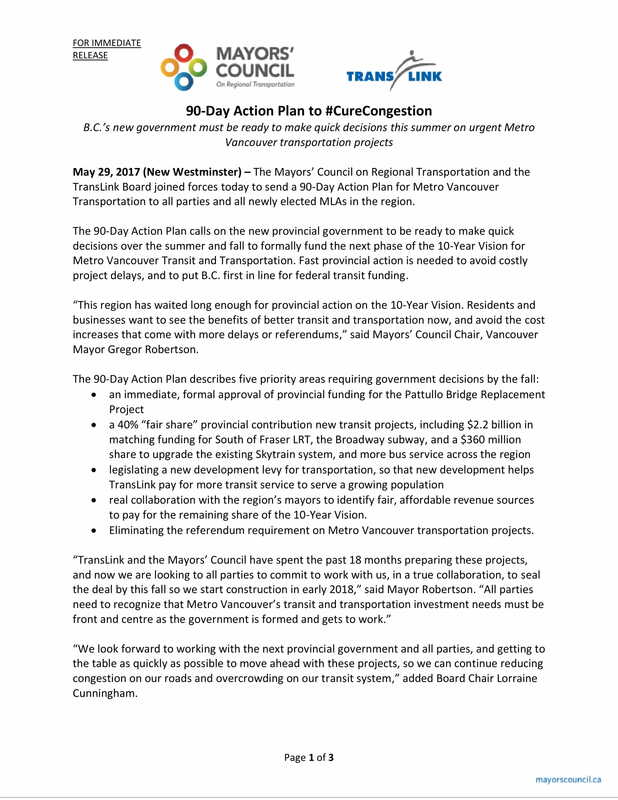 Hence, a 90-day action plan must be specific, concise, and clear with regard to the tasks needed to be performed by a certain person for a certain day. It must be broken down into specific tasks to have a systematic flow of the accomplishment of the action plan. 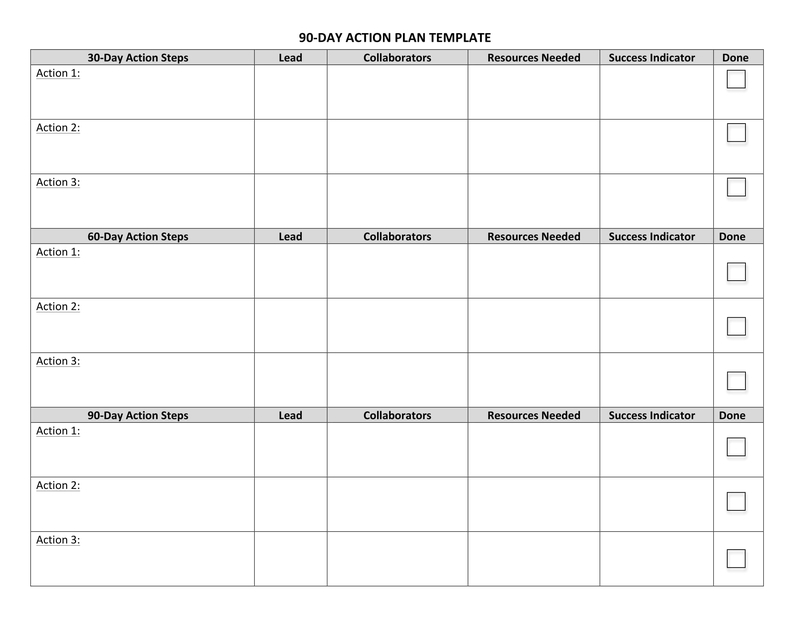 Not sure where to start in creating a 90-day action plan? 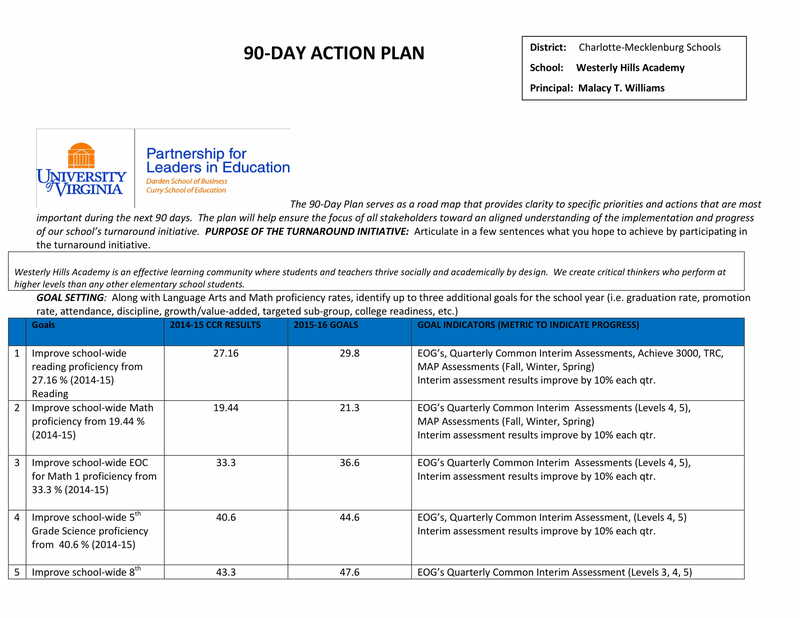 Presented below are examples of action plans that you must check out. An action plan details the tasks that certain people must accomplish in a given period of time to achieve a certain goal. It serves as a road map of your company to achieve a certain goal. Different goals require a different set of action plan. Whether you are using it to apply for financing or simply to outline upcoming growth objectives in your company, an action plan, specifically a 90-day action plan, is useful for identifying the things that you want to achieve within a time frame. It gets your vision and ideas on paper, it clarifies the procedures and methods you need in order to make it happen, it lets you identify any gaps and weaknesses in your strategy, and lastly, it provides actionable steps for the next three months or 90 days. 90-day goal. You must first set a goal in mind for the plan to work. Make sure that you are specifying the goal as well as the steps you planned to undertake in order to achieve it. Vision casting. Crafting vision for your plan as well as applying creative thinking is essential in your 90-day plan. They are the bond that holds the plan together and in place. Assessment. Assessing and evaluating are critical because they help in defining the strengths as well as the weaknesses of your business or company. They are also helpful in making decisions with regard to the process, price, quality, timeliness, viability, competition, and your staff. Pain points. Don’t forget to determine the biggest pain points that you have for your action plan. These pertains to the causes of the most friction for a seamless revenue stream. They are breakdowns or malfunctions in a process that hinge on successful operation or those that cause interruptions in the production that may hinder increased sales. Learn to say no. Ninety days is too long in a business company, and there are a lot of things or transactions that may happen within that 90 days. 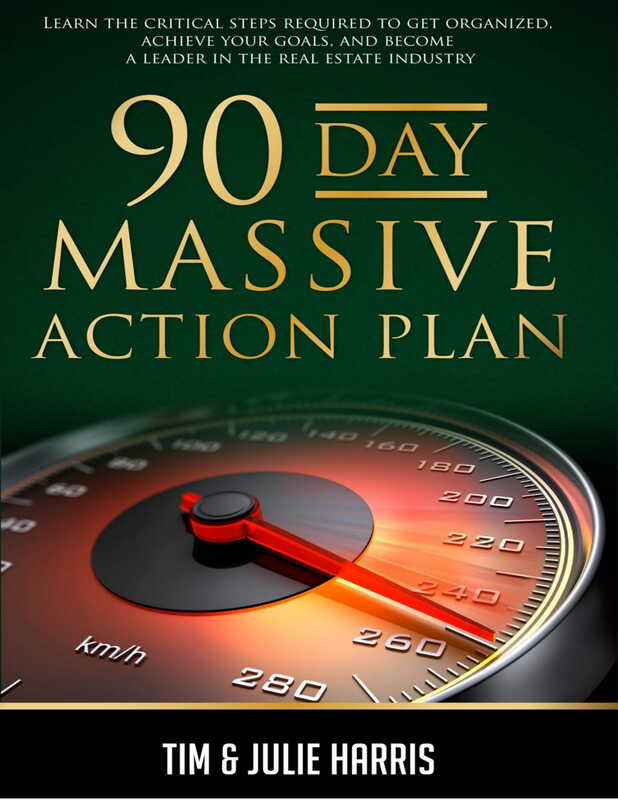 In any 90-day plan, you can discover millions of things that you still need to do and to accomplish. Some might just be distractions in your plans. Thus, you must decide if they are critically important in achieving your goals. You must learn now to say no to the things that are not your priority and those that are not of help in reaching your goals. Always remember that being busy is not the same as being productive. There are times that you are being busy with some other tasks that are not useful for achieving your goal; hence you are unproductive. This would lead us to the next bullet point. Priorities. You must set your priorities for your plans. Disregard those that are not helpful and determine what are the most important action steps and in what order should they occur. You must clearly list them as ambiguous action steps would often lead to missed goals. Measurement and review. Then, you must clearly draft the ways on how will you measure your plan through the critical conversion points that are easily measurable. Just keep it simple, and figure out how often you should review your metrics for you to make careful adjustments. Forecast. 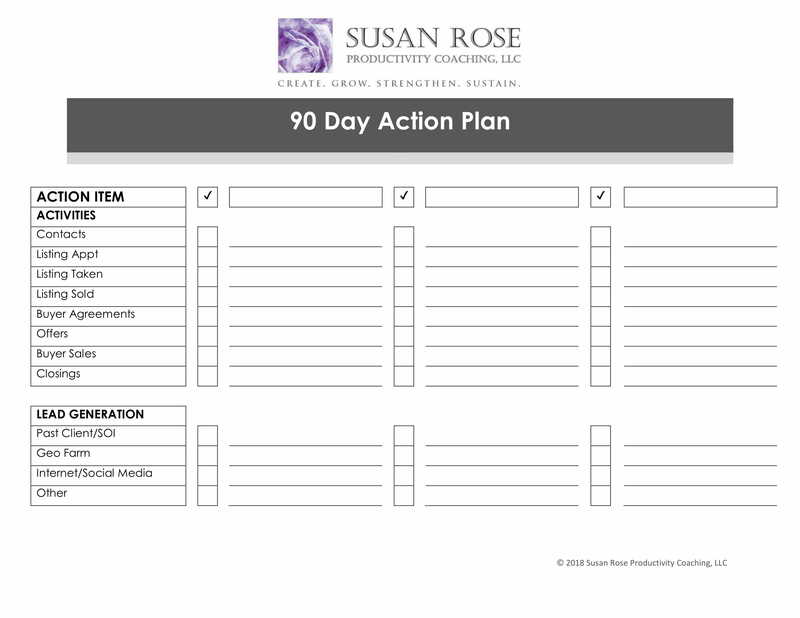 When you are close to the end of your 90 days, you must review the results of your accomplished tasks which will be useful in creating your next 90-day action plan based on your data. Secret ingredients. This is a summary of your entire plan that states what is the most important thing that must be present in your plan. Carefully think about this, and when you do figure out what it is, incorporate it into the entire planning process that you can use throughout the next action plan that you are going to create and implement. The first thing that you need to do is to outline the sections you need to include in the plan. This will give you an overall background and vision of the whole plan. The outline will, obviously, differ depending on the purpose of the plan. 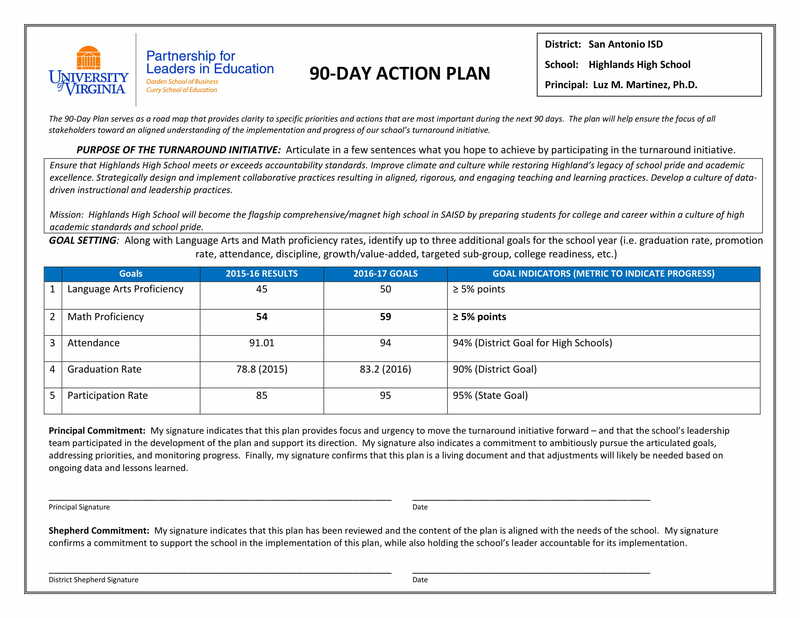 For example, if the purpose of the 90-day action plan is that for your application for financing with a bank or submitting a proposal to a potential investor, your action plan might need to include a description of the company, its location, facilities, sales and profit history over the last couple of years, as well as projections for future sales and profits. However, for action plans to be used internally, the general business information must be replaced with background on the reason for the plan and its timeline. Your action plan must provide an overview of your industry as well as any expected changes in market trends during the 90 days. This must be clearly specified in the action plan. For example, if you have assessed that a new competitor will be entering the market in the next 90 days, you must note its arrival as well as its possible impact on the market and your business. You may add a description of your market’s demographics, other competitors, and the differences between their products or services offered and yours. The products or services you intend to offer during the 90-day period must also be listed in the action as well as your suppliers and distributors. If you are a manufacturing company, you must include the description of your manufacturing processes, and if you are a service provide, the activities involved in delivery of your services. You must identify the value proposition for customers and your advantage over the competitors. 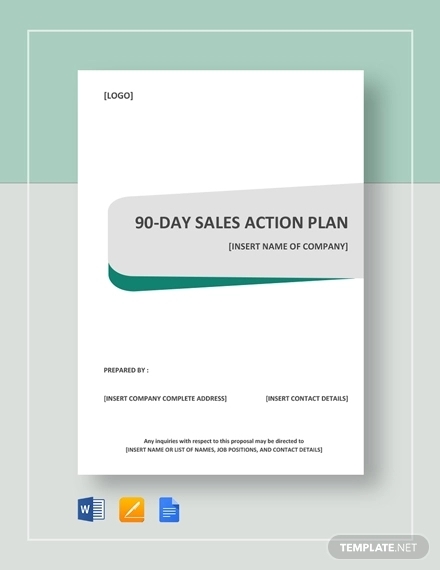 Additionally, you must also create a sales and marketing plan that focuses on the 90-day period of your action plan. It must include the details of your strategy for communicating with your customers, the procedures and methods by which you plan to sell your products, and the results you want to achieve for your plan. You must also clearly specify any activities aimed at branding your product, the pricing strategies for the period, and the rationale for your plan. Then, calculate your financial projections and the budget based on the value of sales you expect to make during the 90-day period. Furthermore, also include your pricing strategy and projected fixed and variable costs. Fix costs are those costs that would remain as is no matter the size of your production. On the other hand, variable costs are those costs that would change depending on the production. Moreover, also include the information applicable to the short-term production, sales, and distribution you expect to take place during the 90 days. Lastly, include measurements in your plan that will enable you to evaluate its success after the 90 days. The measurements must be specific for you to easily assess and evaluate its impact on the steps toward your goal. An action plan is the key in achieving the goals of a company. It details the step-by-step process that a certain person must accomplish within a specified time period to achieve a the tasks assigned to him or her. It serves as a road map of a company, and through an action plan, the weak points and the areas needed to be improved in a company’s plans can be determined. 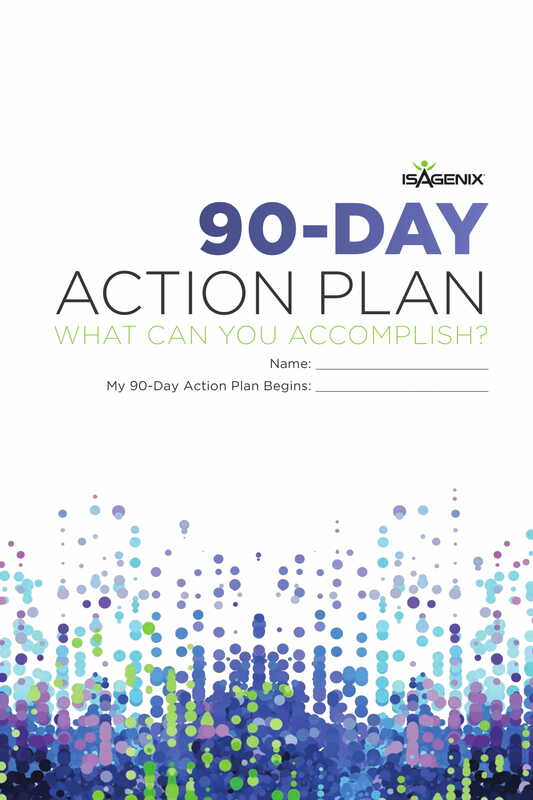 There are several tips presented above for a 90-day action plan, and these can be summarized as follows: set a 90-day goal, craft a vision, assess your company, determine the pain points, learn to say no, set priorities, measure and review, forecast, create a secret ingredient. These are the things that you must focus in creating and implementing your action for it to be effective and efficient in achieving whatever the goals set by the company. 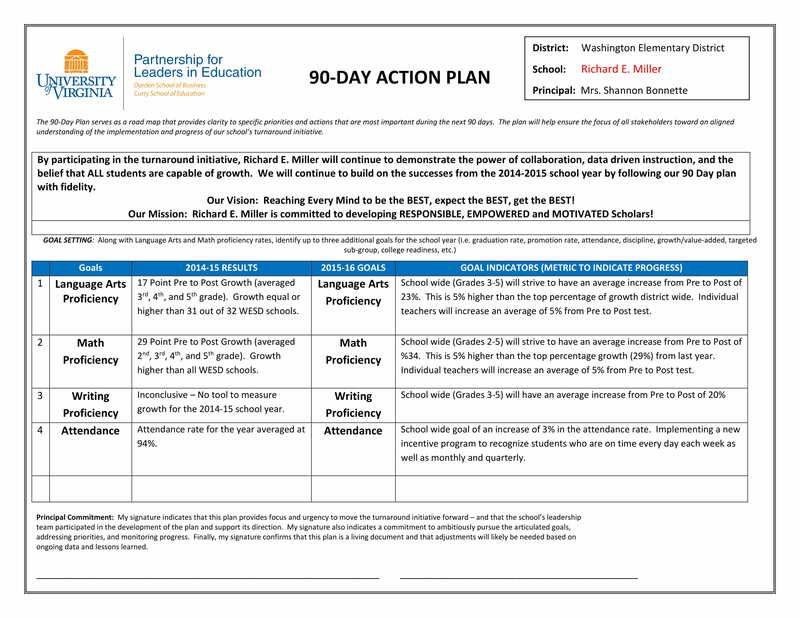 In writing a 90-day action plan, there are certain steps that you must do in order for it to become useful and effective. The steps are as follows: outline the sections, create an overview, list the items that you will offer during the 90 days, create sales and marketing plans, calculate financial projections and budgets, and lastly, include measurement. When you follow these steps, it is more likely that you will create an action plan that is effective enough for a certain company to achieve their goals. 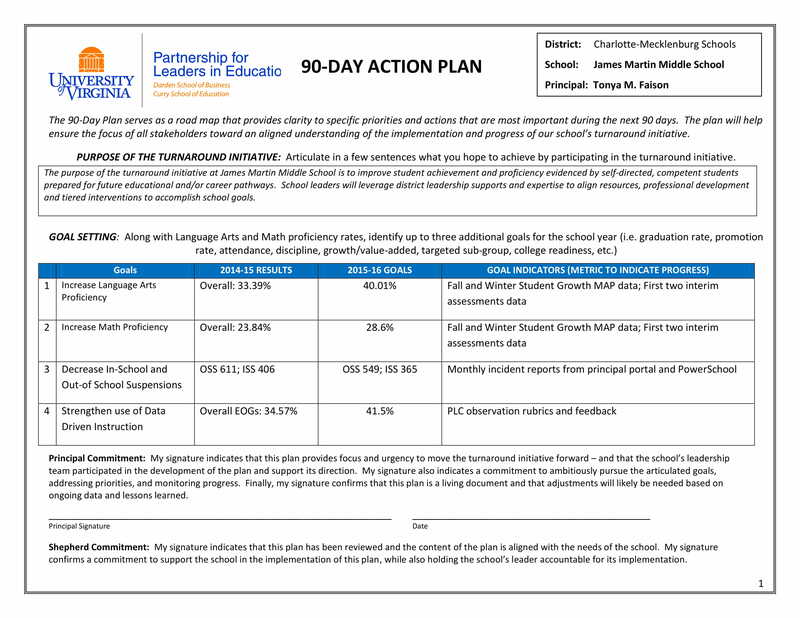 Finally, we are always here to help you with the examples and templates of 90-day action plan that are presented in the previous section.